A post on google guide connect reveals that google has added the video feature to google maps. Before now, Local Guides were only able to add a photo of a place they are reviewing but with this new feature, users will be able to add videos – up to 30 seconds – to help travellers make decisions on restaurants to visit. The google local guide is a community that allows users to make useful reviews of places they have visited, earning points as they add more reviews. This feature will really provide great help to travellers. Seeing just a snapshot of a place you are visiting does not give enough information on what the place looks like and what it has to offer. With the video feature, you could just play a short video that takes you around a place to show you what it really looks like for 30 seconds. 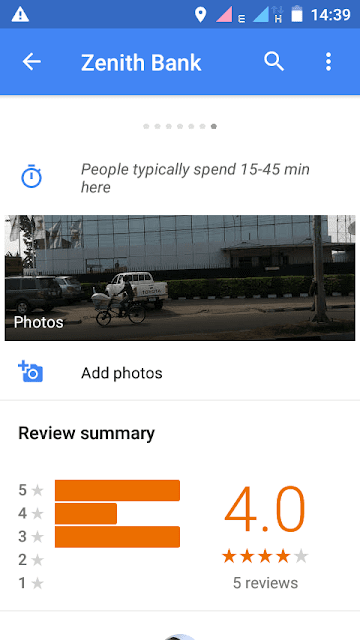 Now with videos as part of reviews on google map, you can make better decisions on the places you are visiting – whether you are going out with close friends or taking your family out for some good time. As a Local guide, adding a video is easy. And you might not even need to be at the place to be able to post a video on review. There are two ways of adding a video to your review as a local guide. You can add a video by recording while you are at the location or by uploading an already made video. So if you’ve got your android device handy, open the google map app and follow. Google maps will only allow 30 seconds of a video. So if you upload a video that is longer than 30 seconds, only the first 30 seconds of the video will be shown. To remove sounds from a video you are recording, tap the sounds bars; located bottom right of your Android device’s screen. There is already an app for location based video sharing on the play store. It is called WhoShares.